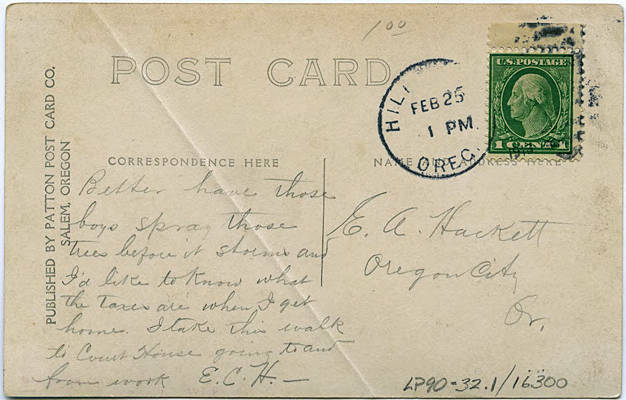 Postcard written to a family in Oregon City, wherein another relation gives orders concerning some trees and taxes. 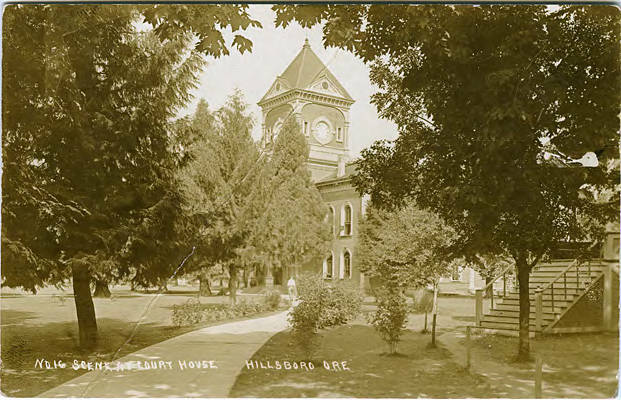 The writer of the postcard works in Hillsboro, Oregon, but the postcard is addressed to someone in Oregon City, Oregon. [front] Court House Hillsboro, Ore. [back] Better have those boys spray those trees before it [showers?] and I'd like to know what the taxes are when I get home. I take this walk to Court House going to and from work E. C. H. - [addressed to] E. A. Oregon City Or.